When it comes to cross-compiling Python for Android, I've followed Gabriel's blog post @ http://mdqinc.com/blog/2011/09/cross-compiling-python-for-android/ and I was successful in creating an Arm-based Python executable (and related libraries) in little or no time. Gabriel has a lot of the initial steps just verbally described, but I've come up with a shell script that allows you to automate the entire process. Of course you need to replace <path-to-android-ndk> with the directory where you have installed the NDK. export CFLAGS="-DANDROID -mandroid -fomit-frame-pointer --sysroot $ANDROID_NDK/platforms/$ANDROID_NATIVE_API_LEVEL/arch-arm"
export MAKE="make -j4 install HOSTPYTHON=$MY_HOSTPYTHON HOSTPGEN=$MY_HOSTPGEN CROSS_COMPILE=arm-eabi- CROSS_COMPILE_TARGET=yes"
./configure LDFLAGS="-Wl,--allow-shlib-undefined" CFLAGS="-mandroid -fomit-frame-pointer --sysroot $ANDROID_NDK/platforms/$ANDROID_NATIVE_API_LEVEL/arch-arm" HOSTPYTHON=$MY_HOSTPYTHON HOSTPGEN=$MY_HOSTPGEN --host=arm-eabi --build=i686-pc-linux-gnu --enable-shared --prefix="$output_dir/Android-Python-$PYTHON_VERSION"
These instructions refer to a Ubuntu 12.04.1 LTS system running on an Intel processor. 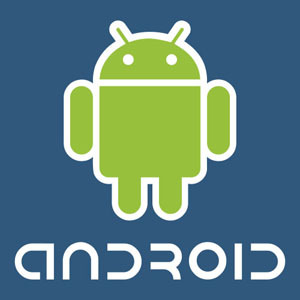 You should now have a directory called android-ndk-r8b containing release 8b of the Android NDK. Previously rpmbuild would install and look for files under the rpm_top/BUILD directory, while now it looks under the new BUILDROOT directory. Suppose you have a single tar ball and you want to create two or more RPMs using different spec files. The new version of rpmbuild automatically cleans the BUILDROOT directory after completing the targets for a given spec file. If you want to save time and have the second spec file just look for the BUILDROOT created by the first spec it won't find it because of the automatic clean. So it seems like you are forced to untar and install under the BUILDROOT your file over and over again. You should now have a directory called android-sdk-linux containing release 20.0.3 of the Android SDK. This is a recurring problem people have often: trying to port a big C/C++ project to the Android platform. You have thousands of lines of tested and working C/C++ code that you want to reuse and access from your Android application. So far Android only provides an SDK for Java applications, only supports devices with ARM, MIPS and x86 architectures, and several steps are necessary if you want to port your code and call it from Java as a library. By large the biggest deployment is for ARM processor devices, so we are initially focused on porting our code to this architecture. Cross-compile the C/C++ code for the ARM processor (or any other supported) architecture. Develop a JNI module allowing an Android application to natively call the C/C++ code from Java. Develop an Android application using the JNI module. Run and debug the app on an Android device. Developing an Android application requires the Android Software Development Kit (SDK), while cross-compiling your C/C++ code and developing the JNI module for Android requires the Android Native Development Kit (NDK). Both these kits run on Windows XP/Win7, Mac OS 10.5.8 or later (Intel), or Ubuntu Linux 8.04 or later. My intention is to publish on this blog several posts with detailed instructions on how to accomplish the above mentioned steps. The instructions are based on other posts you can search on the internet and on my experience with Android. All the instructions are based on the development and testing environments described below. Select the DDMS perspective for Eclipse and use the File Explorer tab to select the directory where you want to tranfer a file to (a drawback of using this method is that you can only tranfer one file at a time). After many years of searching the web for tips and tricks about computers, operating systems and programming languages, it's finally time to give back and post solutions to common problems I'm facing during my professional career. I hope you will find this blog useful.